Students will hear and read examples of figurative language long before they actually incorporate it into their own writing. As readers, we want them to be able to grasp the meaning behind nonliteral language. How? By reading widely and discussing author's craft. We must use master writers as mentors and teach students to recognize and celebrate the richness that figurative language brings to a text. And we must not stop there. We must equip young writers with new tools for their writing toolkits and encourage them to experiment with them as they craft their own work. Only then will students move beyond literal meaning and mature as writers. When introducing a new literary device, consider starting with some stand-alone examples like the ones here and here from Enchanted Learning. Next you will want to find rich examples in poems, picture books, or chapter book excerpts. This makes the meaning more easily understood in the full context of a short text. Poet Bruce Lansky has a lesson that utilizes a poem to teach fresh new similes. You can use Eve Merriam’s classic poem “A Cliché”in much the same way. (This poem can be found in her book It Doesn’t Have to Rhyme.) Encourage students to brainstorm beyond common, overused similes. Project the text with a document camera or interactive white board (IWB). Do an initial reading of the poem. Then read it again, pausing to emphasize the word “think” in the poem and to highlight the questions Merriam asks. (Have a student emcee use the highlighter tools on your IWB). For the third reading, stop and have students Turn and Talk with someone sitting near them to suggest alternatives in the third and fifth stanzas from their “think” time. Chart responses as pairs share out. This lesson plan for similes and metaphors uses another of Eve Merriam's poems—about the willow tree and the gingko tree. Metaphors can prove to be more challenging to students than similes. They use fewer words, lack the signals of “like” or “as,” and require the reader to do the work of figuring out the similarities between two things. A five minute video on Schooltube illustrates for middle and upper elementary students the differences between similes and metaphors and how they are used. As with much of what you do, keep track of student thinking on an anchor chart while learning about figurative language. When sharing examples at your interactive white board, have students circle or highlight the simile or metaphor. You can even use different colored pens/highlighting for similes and metaphors. Engage the class in completing a T-chart with these headings: What the Words Say and What the Words Mean. The chart can be added to throughout the year as you and your students discover fresh new examples in the texts you encounter. If you create it on IWB, you can save it and reopen anytime. You can make it available from your class web page so parents can access from home. Print out copies of the latest version to post in your classroom. 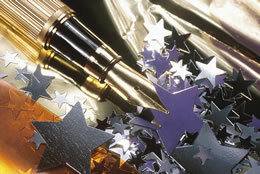 Skilled writers employ particular tools to suit their purpose. Point out to students that there are times when figurative language enhances writing, and times when it may not be appropriate. A few well-placed similes or metaphors can add a lot without overwhelming the reader. In trying to teach figurative language, I usually run into the problem of metaphor. Middle school students have a horrible time wrapping their heads around metaphors, much less the DIFFICULT assignment of understanding extended metaphors. Metaphors are so abstract that their brains have a hard time processing them, so I’ve decided to start with something I call simile strings. I define a simile string as several similes all related to one topic. These are much like an extended metaphor, but a little easier because kids can still rely on “like” or “as” which, for some reason, makes them more comfortable. Check out my blog post to learn how I use Picnik in the classroom. What tips do you have for teaching figurative language? Share in the comments section!